It would be wonderful garnishing an arugula salad. 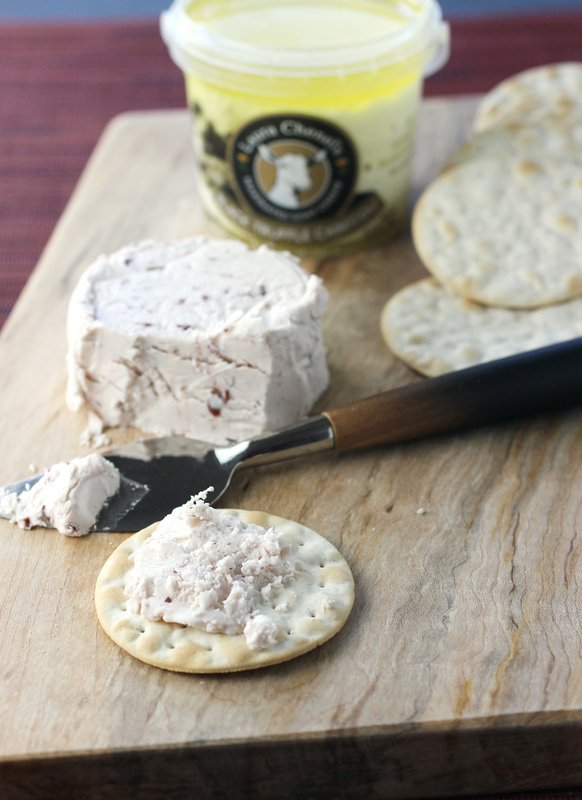 Or even — dare I say — spread on a toasted bagel. The Black Truffle Marinated Cabecu ($9.99) is a disc of goat cheese packed in organic canola oil, truffle oil and black truffle. It comes in a resealable little 6.2-ounce plastic tub. The truffle oil does indeed include “truffle aroma,” which may put off some. But there are actual real bits of black truffle in this, as can be clearly viewed in the goat cheese. 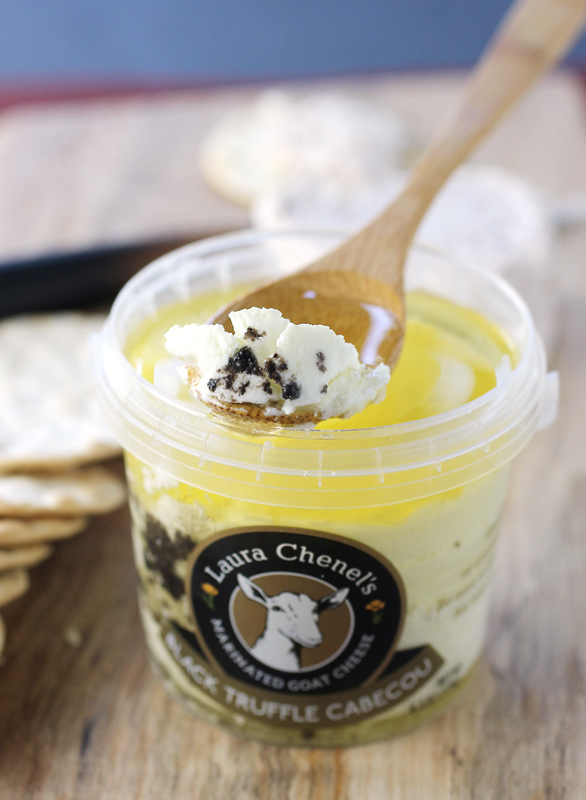 Real bits of black truffle flavor this Laura Chenel goat cheese. The oil gets flavored with the cheese and truffles, making it delicious all on its own, too. Spread the cheese and its oil on grilled bread. Or just imagine it stirred into mashed potatoes. Look for the products at Whole Foods, Mollie Stone’s, Costco, Draeger’s, and other retailers.